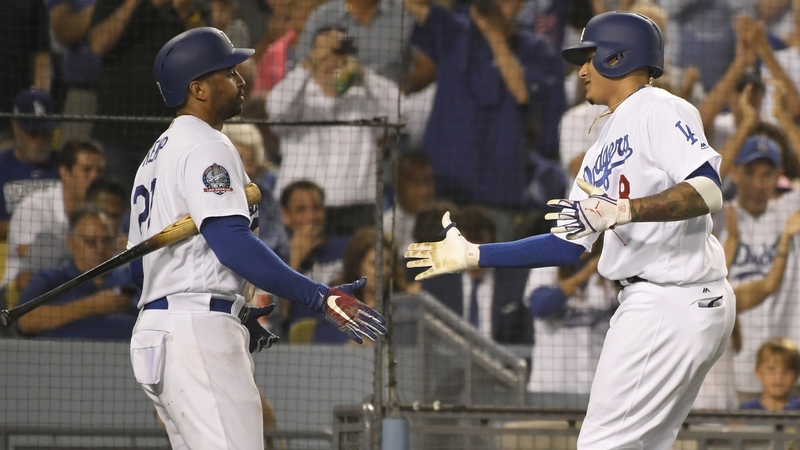 The Dodgers were five outs away from falling back to two games out of the National League West lead. And then they weren’t. This was a day of pitching, but we’ll get to that later. Tim Beckham went a perfect 4 for 4 with two RBIs for the Orioles in a 5-4 loss to Kansas City. Back to the mound though: everyone seemingly was racking up double-digit strikeouts Saturday, or at least close to it. Eduardo Rodriguez struck out 12 in a 6-1 Red Sox win over the White Sox, Steven Matz K’d 11 in a 2-1 Mets win over the Giants and Luis Castillo sat down 11 in the Reds’ 4-0 win over the Cardinals. Even Josh James, who made his MLB debut for the Astros, struck out nine in five innings of a 7-3 win over the Angels. The K’s mounted up Saturday which just reinforces the idea that there will likely be more strikeouts this season than any other in league history. This will be the 11th straight season MLB has set a new strikeout record. Twins starter Jose Berrios struggled again in a 7-4 loss to the Rangers, allowing five runs on three hits and three walks in four innings. Berrios’ ERA has risen more than half a run (3.41 to 3.92) since July 9 and nearly a full run since June 24. Since July 9, Berrios has thrown more than six innings just three times in 10 starts while failing to get past the fifth six times. Cubs (80-55) at Phillies (72-63) 1:35 p.m. ET TBS — The Phillies are three games back of the Braves in the National League East after a 7-1 loss to the Cubs on Saturday, but they have their stopper set to take the mound as Cy Young candidate Aaron Nola (15-3, 2.10 ERA) will face off with Jon Lester (14-5, 3.67).